Welcome to the Best Western Colorado River Inn, conveniently situated off California's historic Route 66 in the Mojave Valley. This Needles area hotel offers 63 well-appointed guest rooms and mini-suites, each equipped with a microwave, refrigerator, cable satellite television with free HBO and high-speed Internet access. Begin the morning with a complimentary full hot breakfast before enjoy the hotel's many other amenities including an indoor swimming pool, whirlpool hot tub, sauna and free parking. Pets are welcome! Guests staying at the Best Western Colorado River Inn will find themselves minutes away from a variety of local businesses and restaurants including Juicy's, a native favorite. Only one block away from the Colorado River provides a great day of boating, fishing and other water activities. Enjoy a round of golf at the Needles Municipal Golf Course just one mile from the hotel. Hotel guests will also enjoy short day trips to nearby Lake Havasu and the Grand Canyon. The friendly, helpful staff at the Best Western Colorado River Inn is ready to ensure a fun-filled memorable stay in Needles, Colorado. Make a reservation today and save! 44 room historic Motel in need of restoration. Make it a Rt. 66 Motel Attraction with "Theme" rooms. Capture the international Rt. 66 Traveler! Listed for $89,000. Stay at this Needles, California hotel providing convenient access to the Colorado River, Lake Havasu and the Oatman Ghost Town. Ideally located off of Eastern California's Interstate 40, near the Arizona border, the Rio Del Sol Inn offers friendly customer service and comfortable accommodations at an affordable price. This Needles area hotel boasts 60 well-appointed guest rooms each featuring cable satellite television with HBO and high-speed Internet access. Enjoy a variety of amenities at this Mojave Valley hotel including a complimentary continental breakfast, an outdoor swimming pool, hot tub, steam room, guest laundry and ample boat and RV parking. Pets are welcome! The Rio Del Sol Inn is situated on historic Route 66 in the San Bernardino County which offers a variety of local restaurants. Guests can spend the day on the Colorado River, only one block away, or take a quick day trip to Lake Havasu and see the original London Bridge. Spend the day at the Oatman Ghost Town or visit nearby Laughlin Casinos. Arizona's Grand Canyon is also just a couple hours' drive from the hotel. The friendly, helpful staff at the Rio Del Sol Inn is ready to ensure a fun-filled memorable stay in Needles, California. Make a reservation today and save! Wagon Wheel Restaurant is a diner and gift shop located on Historic Route 66 in Needles, CA. Serving homestyle breakfast, lunch and dinner. Beer and wine is available. Local favorites include hand cut and breaded chicken fried steak, homemade country gravy and slow roasted pot roast. Breakfast is served all day. Open daily from 5:30am to 10pm. RV, truck and boat parking is available. A local favorite since 1978! Conversions Firestone offers quality tires from top manufacturers including: Bridgestone, Firestone & Fuzion. Our service department can assist with your auto repair needs including: oil changes, smog checks, brakes, & more. We are a locally owned family store and we sell hunting and recreational firearms, guns, ammo, safes, optical, safety equipment and gun and sporting accessories. The Museum Gift Store offers a fine selection of souvenirs, gift items, a variety of books, maps, clothing related to Route 66, the Mojave Desert, Fred Harvey House Depots, railroads, mines minerals, classic vehicles, California and more! 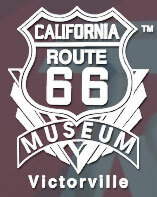 The California Route 66 Museum is devoted to the representation of U.S. Highway 66/ RT 66 in both historic and contemporary exhibition. The Museum displays three rooms of artifacts and has visitors from around the world. The admission is free and a docent to answer any questions about the RT 66 or an artifact in the museum. 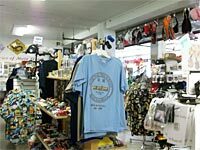 There is a gift shop in the museum and a new e-commerce site to purchase RT 66 merchandise from hats to license plates. Original route 66 Cafe serving home style meals - date shakes, ostrich burgers, with gift shop offering Route 66 memorabilia. I sell antiques, collectibles, vintage items. California & Route 66 related merchandise at the California Welcome Center, we provide Tourist Information for California and are one of the 19 Centers throughout the state. In addition, we are the official merchandiser for the Route 66 Rendezvous Event in September. Joey's BBQ 1964 W Foothill Blvd. 1345 E. Route 66 Ave.
"Pipes & Sticks on Route 66" is a feature length documentary that follows five Scottish "rock stars" of the bagpiping world as they get their kicks on a musical tour down the Mother Road. 1250 South Fair Oaks Ave. When you eat at Auntie Em's Kitchen you don't need to step outside to experience the weather or check the plants blooming in your garden to tell you the season. Just glance at the menu, taste our prepared dishes and you'll know and feel in sync with the time of year, because Auntie Em's menus are comprised of seasonally available fresh fruits, vegetables, meats, poultry and fish. The bakery is constantly trying out new desserts to take full advantage of and include the freshest and most seasonally appropriate fruits. We use seasonal produce in our soups, salads and daily specials so that in the winter you can expect to choose from all different kinds of braised and stewed meats, hearty wintery soups and chowders, savory pies and satisfying desserts. In the summer we love creating meals that take advantage of the vast array of heirloom tomatoes, sweet, juicy fruits, and the freshest summer veggies. So if you love our bbq pork sandwich andthe air conditioning is full blast, don't fear, it will be back in the winter. But in the meantime you can try our chilled heirloom gazpacho with crusty bread for a light and refreshing summer starter. We are at the end of RT66 on Santa Monica Pier. First ever Route 66 business at the end of Route 66! At our shop, we have one rule. Everything is made-in-the-USA... our shirts, our signs, our books, right down to our magnets and shotglasses. Everything. And here's why: The Route always represented the best America had to offer. 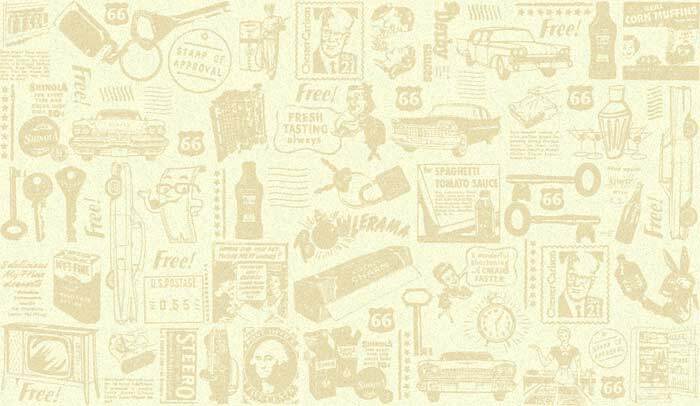 That said, when you buy a "66-to-Cali" product, you're supporting a heritage that is true to Route 66's original legacy... strengthening the American economy! Basically, you're helping us return the road to its rightful heritage of making this country strong. The guy at the end of the road, I make it my responsibility to be the welcoming friend who provides a suitable, celebratory end to your Route 66 journey. So come down and see me. Buy a shirt. And like so many before you, celebrate the end of the road, and the beginning of the dream! I thank you for your business! The Federation is the nonprofit, worldwide organization developed to promote and preserve the entire Route. To support our efforts we offer memberships which include a quarterly, digital magazine and Route 66-related items at our website. Scentsy Candles Products are a safe alternative to scented candles! Our Warmers melt and warm the wax releasing the fragrance into the air which means - NO BURNING. This makes your home safer for you, your family and pets. With Scentsy you say goodbye to soot for good! With over 40 Candle Warmers (Full and Mid Size), 20 Plug-ins and 80 different scents to buy (even a Route 66 fragrance), we have something for everyone. We have an ever growing list of Scentsy Candle Products! Additionally, we've got some Fragrances on the Go as well such as our NEW Scentsy Buddy's, Scent Pak, Fragrance Foam, Room Spray, Scent Circles and our Travel Tins!